Unusual Necklace For Women : LOVE2HAVE in the UK! 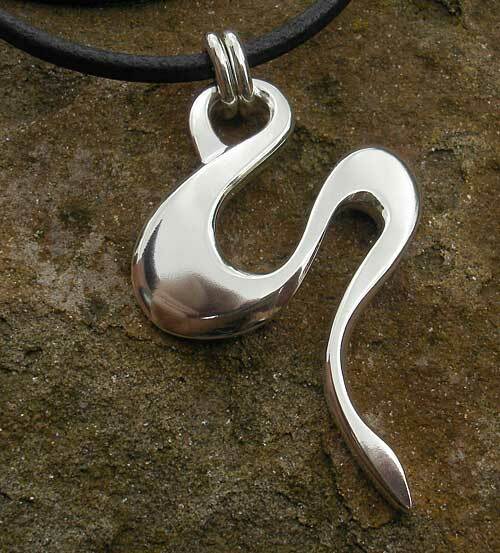 This unusual necklace for women is a sterling silver pendant crafted in highly polished silver. This very slick and unique design features ultra curvy styling. It looks look a swish shape that signifies movement and dynamics. 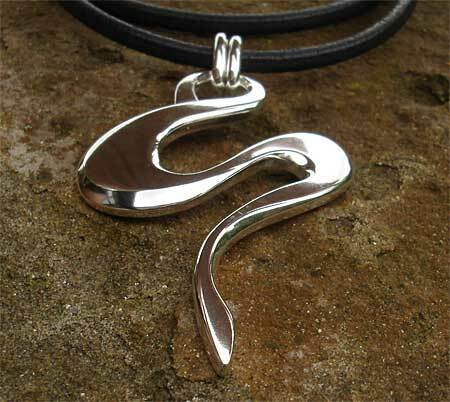 The pendant measures approximately 35mm x 50mm, coming threaded with two silver jump rings onto a 16-inch black leather thong with a silver fastening. Like all our other British made jewellery this necklace is made of the highest quality also.